April is National Kite Month and is a great time of the year to fly them. The American Kitefliers Association has many resources from directories of clubs to instruction videos. 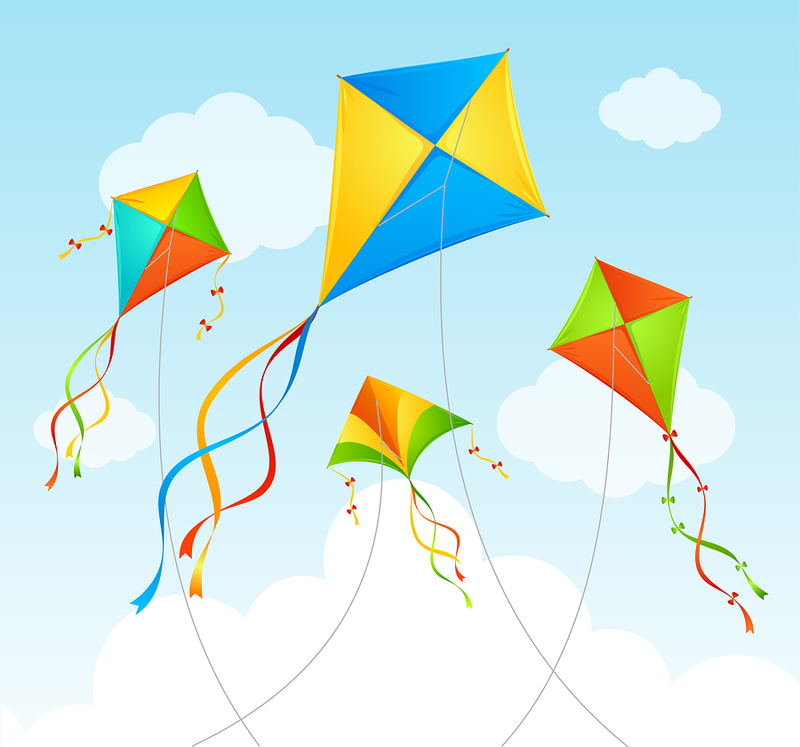 Kites are not just toys – kite making and flying can get very scientific and is a fun way to explore math, applied physics, earth science, art, and different cultures. Kites have been used in scientific experiments like Ben Franklin’s test for electricity in lightning. Kites were used in warfare for observation as late as the second world war; in ancient times they could be flown over fortifications to test how thick walls were, by using triangulation. The classic kite shape of two triangles that share a base has many interesting mathematical properties, and can be convex or nonconvex. Kites to be flown are not always kite-shaped, however; there are tubular sock and drogue shapes. Constructing a kite also involves tying special knots in the strings, and flying one uses the same technologies and techniques as operating a sail boat. Kites are being tested as a source of energy, as used in kite surfing, snowkiting, and kite sledding. Fighting with kites is an ancient sport taken quite seriously in parts of Asia, described in the acclaimed novel The Kite Runner by Khaled Hosseini (adapted as a movie). Many kites are made to be beautiful above all. Ancient kites were made of silk, paper, and bamboo. Today, people make them out of Tyvek® and nylon fabric too. In some places kites are part of religious ceremonies: in India, they are flown on the Hindu festival of Makar Sankranti; in Mexico, fire kites called “little witches” are set off at night around Hallowe’en; in Guatemala, kites are flown above graves to free ancestor spirits on the Day of the Dead; in Japan, kites are released to exorcise evil spirits.